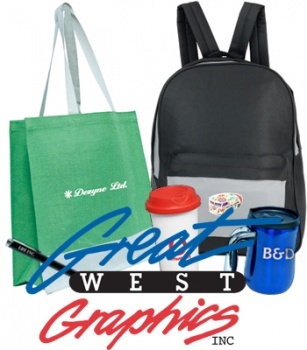 Great West Graphics offers a full line of promotional products and corporate gifts. Promotional advertising products are at the heart of every successful advertising campaign. From Coast to Coast, businesses large and small now use promotional advertising as an essential part of their marketing plans.